I started working for North Bar Ltd nearly four years ago. During that time I’ve brewed the former ‘Prototype’ at Kirkstall Brewery and helped with North Brew Co’s launch at last year’s Leeds International Beer Festival. Like many of us, I’ve spent a lot of time squinting at North Bar’s taps, pumps and fridges carefully choosing what brew to consume (my advice, when in doubt, Orval is the go to, no questions.) 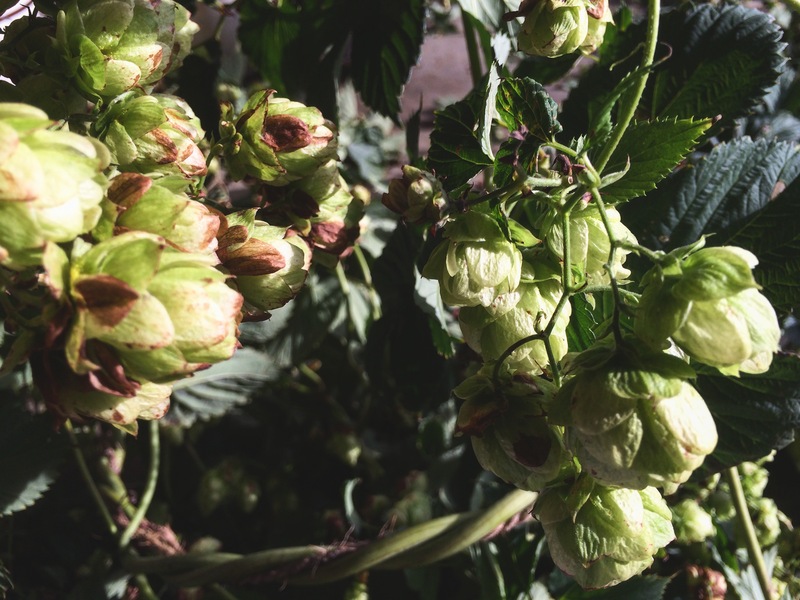 It’s no surprise to me that spending so much of my time serving and drinking quality beer, that I’ve developed a keen interest in the brewing process and how beer is made. I’m passionate about beer and I want to be a brewer. With that, comes a ton of learning. I completed a degree in Fine Art three years ago and it feels like I’m starting all over again – only this time I’m making my own curriculum and it’s probably going to last a little longer than three years (and cost a little less too) One thing that I can draw upon from an education in the arts is having a lot of creativity and being a bit of a perfectionist. Craft beer, for me, shares that same passion and creativity. 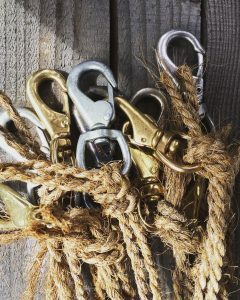 It stems from the breweries’ teams, to the people who drink the beer. I started home brewing all grain recipes last year and so far I can safely say that only one batch has been absolutely undrinkable. (Maybe a few years down the line, fermented mud water dry hopped with Cascade and Eldorado will be an interesting style, but for now I think I’ll call that one ‘Failure’.) I’ve been biting at brewer’s heels asking to help out wherever possible, so that I can work with the best in Leeds and learn the process of brewing GOOD BEER! But as we all know, the brewing business is booming! – And those guys don’t always have time for a newbie like me following them around asking all the questions. So I figured I’d go and ask some body else all the questions – in Canada! (Queue montage of me seeing famous sights of Canada. * Canadian national anthem plays *). 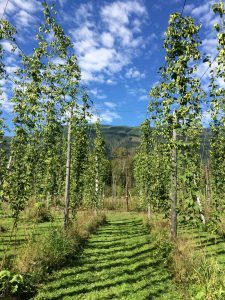 I found a hop farm in British Colombia that needed some help with their harvest. 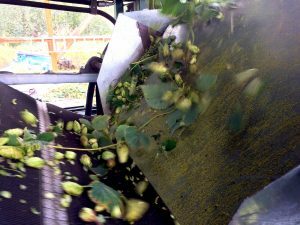 Eagle Valley Hops is found in a small Hamlet (village) 300 miles from Vancouver (nothing like what you imagined in the montage). It’s a small hop plantation of 50 acres owned by Barry and Rita Drinkle. (Apt name huh?) 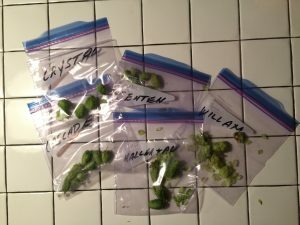 They have eight different hop varieties on the farm. 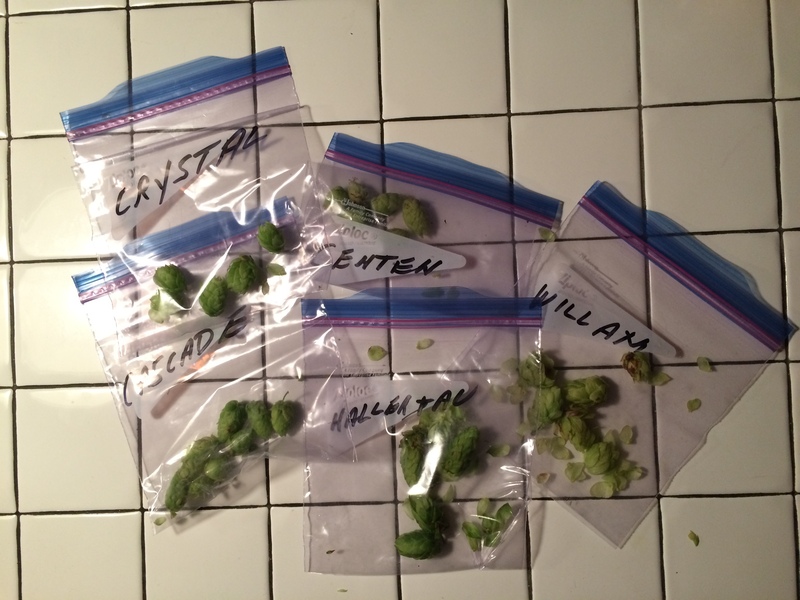 Hallertau, Willamette, Centennial, Cascade, Comet, Crystal and Chinook. They planted their first rhizomes (cuttings) five years ago. 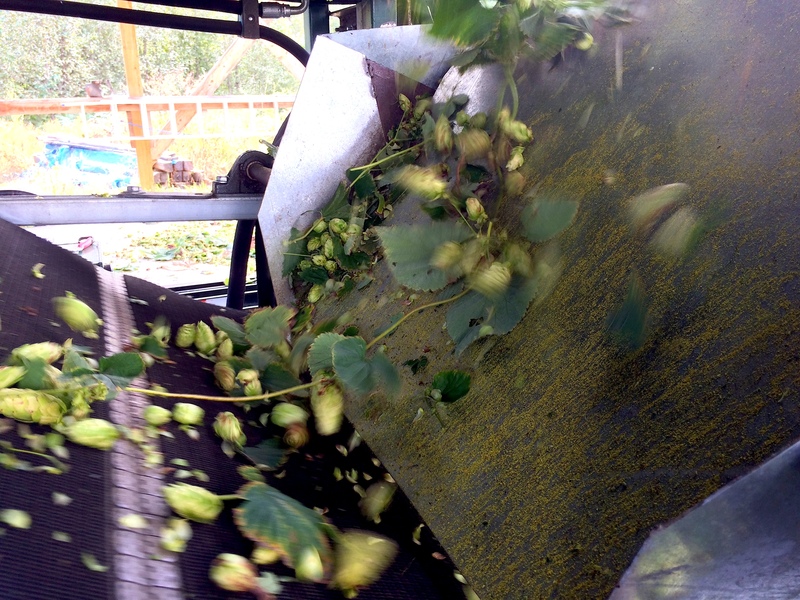 It wasn’t until two years later that the hops were ready to harvest, so three years ago, harvest began! 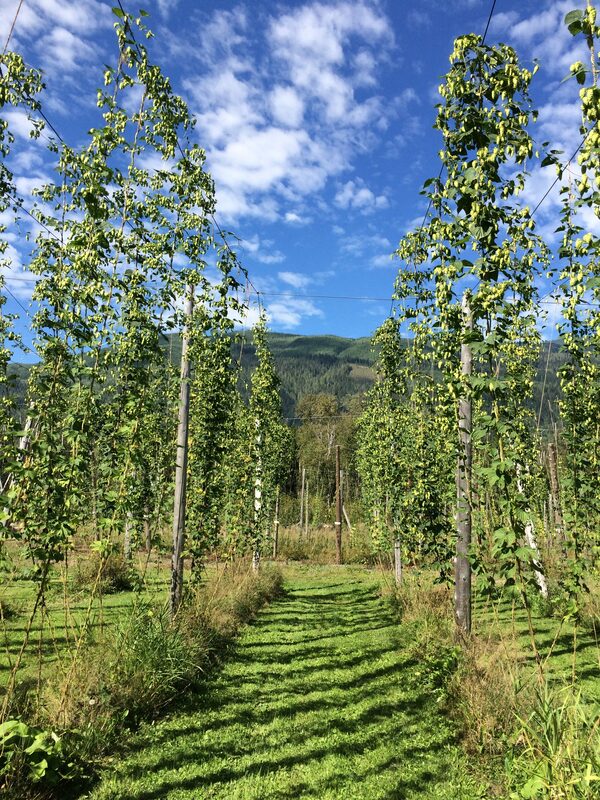 Ever since, Eagle Valley Hops Estate have been supplying British Colombia’s finest breweries and brew pubs with the freshest hops around! 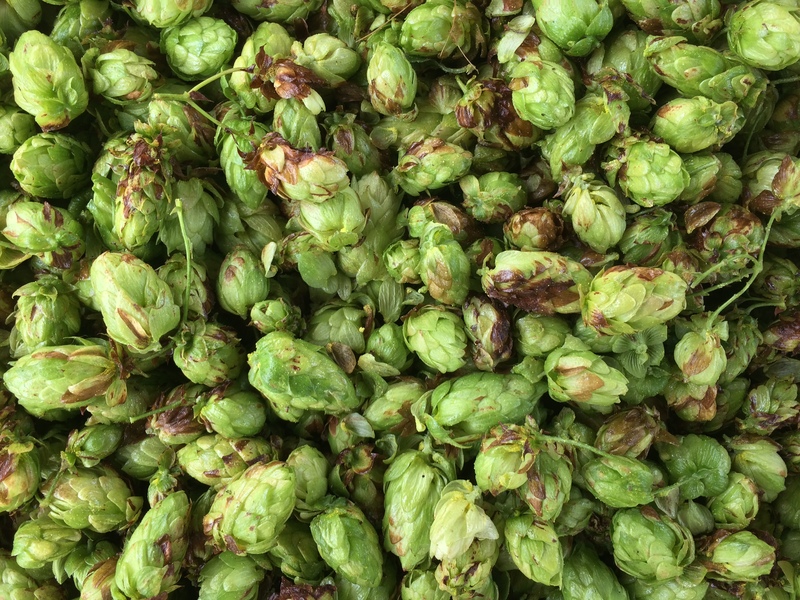 From the clipping of the bines to packaging the hop pellets, it all happens within 24 hours. I arrived a week and a half before harvest began and there was a lot of prep to do. The harvester is the main deal. Barry and Rita did their first three years of harvesting by hand, unsurprisingly; on the third year they thought it was time for a small industrial revolution. 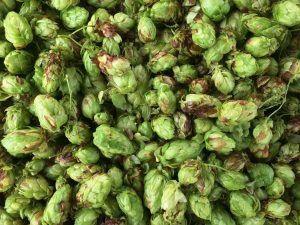 Luckily, friends that lived three days down the road who go by the name of ‘Clear Valley Hops’ in Ontario were about to expand. They upsized their harvester to the iconic German Wolf Harvester. Barry and Rita acted swiftly and seized their old harvester, collecting it in their pick up to bring back home. It harvests about two bines per minute and a half and is a prototype built by the University of Ontario. 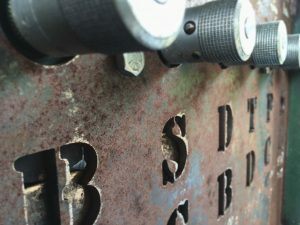 It’s a small complex machine that apparently doesn’t come without its difficulties, but it does the job and who said work was easy? We are three days into harvest right now; I’ve been assigned the easiest job, controlling every part of the harvester. Sorry did I say easy? All eyes are on me when we’re running bines through this thing. The ‘limey’ (did anyone else know that us Brits were called limies?) is affecting every body’s workflow. It’s not an easy thing to work at all, but I’m being trained by Eagle Valley harvester operator veteran, Chris. So everything is going to be just fine, eye?